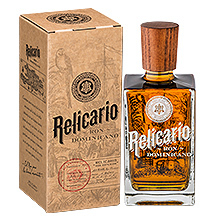 RELICARIO RUM, Taste the Legend! Even today, the oldest members of the island still recount the beautiful story of distant afternoons spent in front of the sea and how, to the rhythm of the rolling waves, they would share the story of one of the best rums ever seen with strangers and travellers. The legend goes that, in the mid-19th century, a Spanish merchant stepped off an old ship at San Pedro Macorís, in the place which was then known as the Jewel of the Caribbean. This solitary figure who, years later, would be widely known as Captain Bennaser, soon enchanted everyone he met during those harsh years of deprivation and slavery. Blessed with a kind and warm manner, he instantly became a much-loved travel companion in convivial evenings among friends. It was during one of these bountiful evenings that he met an old man who was an expert distiller of rum. He let him try this wonderful nectar and his extremely demanding palate was left captivated. Captain Bennaser didn’t think twice about asking the generous distiller whether he could keep such a prized gem to enjoy during the long trade routes. 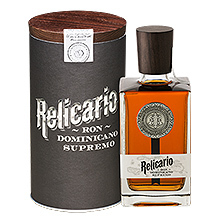 The captain knew that he had in his hands the secret of authentic Dominican rum and kept it adoringly locked away in an ancient and mysterious reliquary. Some time later, the old merchant suddenly disappeared, just as he came, taking with him the secret and precious treasure he had discovered. Back in his homeland, the old merchant died a satisfied man. Resting slowly and deliberately in the old chest, which was passed on from generation to generation, were two bottles of rum, just waiting to be shared by us.